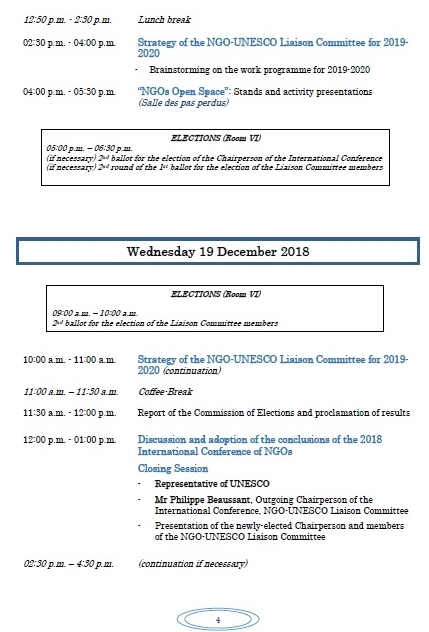 The 2018 International Conference of Non-Governmental Organizations (NGOs) is held from 17 to 19 December 2018 at UNESCO Headquarters in Paris. 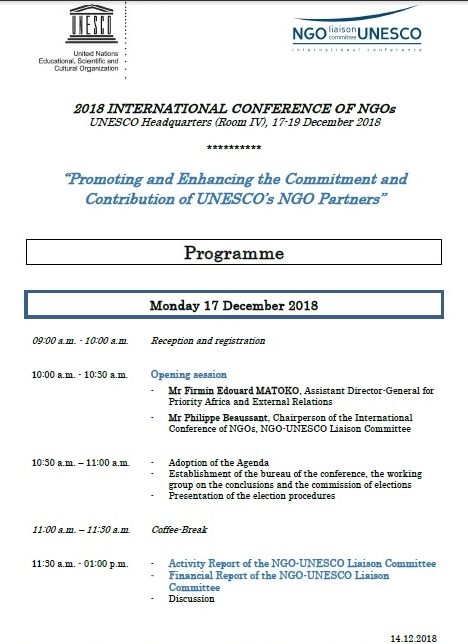 The 2018 edition of the Conference has focused on the theme “Enhancing and promoting the commitment and contribution of UNESCO’s NGO partners” and organized around two subthemes: “Acting together: The collective strength of NGOs” and “Communication, information, dialogue”. 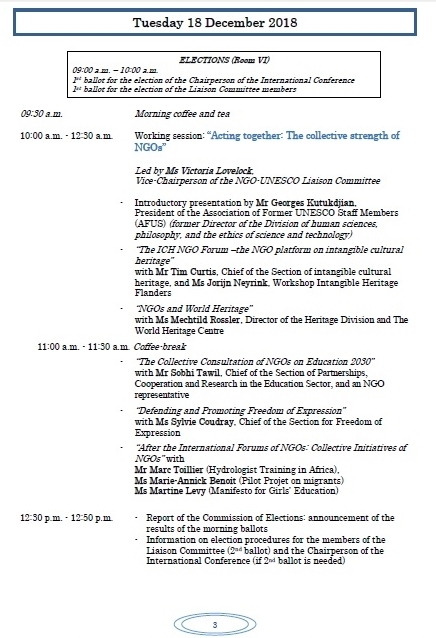 The Conference has a key forum in which UNESCO’s official NGO partners meet to review the state of cooperation with UNESCO. 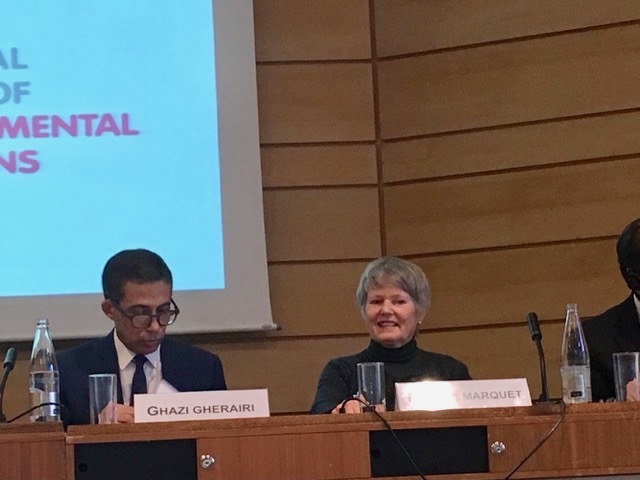 This year’s Conference is provided a welcome opportunity to examine collective NGO action carried out in 2017 and 2018, and consider the main lines of collective cooperation for 2019-2020. 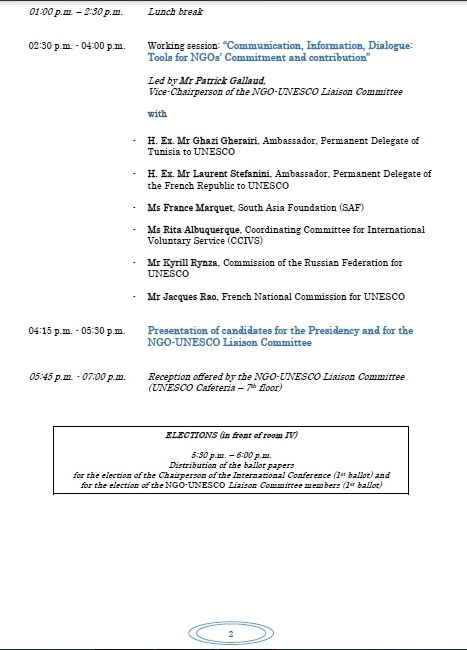 Moreover, participants are called upon to elect a new Chairperson for the Conference, as well as a new NGO-UNESCO Liaison Committee.